The Government of President-elect Jair Bolsonaro begins to gain body, but persists lack clarity on how it will be. 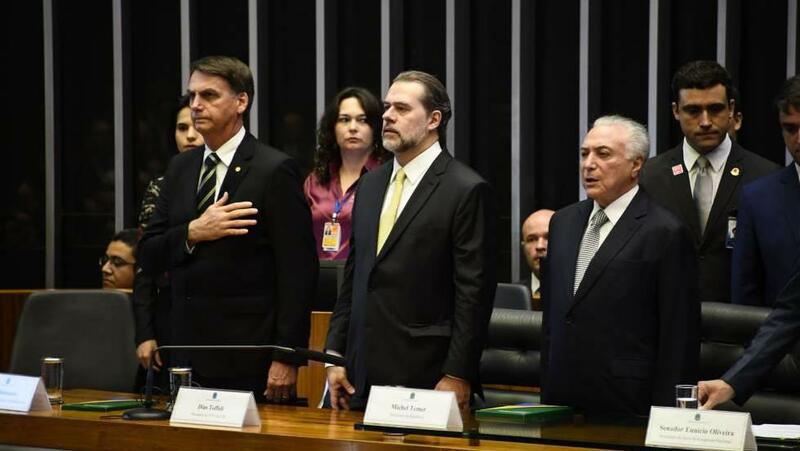 Bolsonaro arrived in Brasília this morning to participate in the work of the transition, and took the opportunity to attend the celebration ceremony of the 1988 Constitution. He has, among others, meetings scheduled with President Michel Temer and the president of the Federal Supreme Court , Antonio Dias Toffoli. Meanwhile, the future head of the Civil Household, Onyx Lorenzoni (DEM-RS), begins to coordinate the transition team, made up of men until now. The Bolsonistas also begin to design a new structure of ministries. According to allies of the reserve captain, he should reduce the current 29 folders to 15. In addition to Lorenzoni, the president-elect has already confirmed his ministers of Economy (Paulo Guedes), Defense (Augusto Heleno) of Science and Technology (Marcos Pontes) and Justice and Public Security (Sergio Moro).